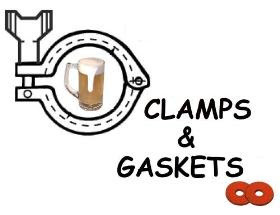 Clamps & Gaskets: News Roundup for Weeks 20/21, 2014. The highly anticipated Camelopardalids meteor shower – which some predicted could unleash hundreds of meteors per hour – instead produced a lowly 5 to 10. Via Washington Post: more on this new meteor shower (here) and more on the reasons for the poor showing (here). A professional wine consultant lists 10 ways by which he believes 'craft' beer is outmaneuvering wine. Via Charles Gill of Wine Lists USA. 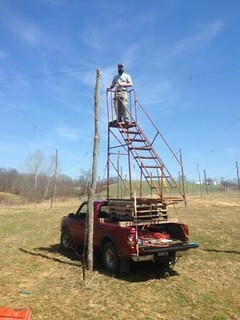 Development of any new hop variety takes about ten years. More on experimental hop variety development and the Hop Research Council, via Julia Herz (of Brewers Association). Saisons without spices; low-alcohol saisons to quench thirst; but few 'farmhouse' saisons. Greg Kitsock of the Washington Post writes about American saisons. A review of SAVOR: the Brewers Association's annual beer-with-food exposition, held in Washington, D.C., 9/10 May 2014. Via DCBeer: many excellent beers, much poor food. A cyber attack has compromised personal data of possibly 145 million users of eBay. Via Reuters. An Australian brewer —Phil Sexton— on how he created BridgePort Brewing's seminal IPA in 1995, emphasizing locally-grown hops and elevated nitrogen levels in malt for development of fruity-esters. Via Jeff Alworth (at Beervana). 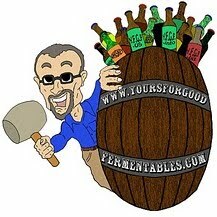 "From Grain to Growler" —a documentary on the history and current developments of 'craft' beer in Virginia— is scheduled for release in August 2014. Via Richmond.com. Cornell University study finds that a lipid in barley —barley LTP1 (lipid transfer protein No. 1)— is the "key to perfect beer foam." Via Cornell Chronicle. The "Witteman" system of ale fermentation in the U.S.: how American beers —in the late 19th and early 20th centuries— were produced in eight days. Via British beer historian Ron Pattinson (at Shut Up About Barclay Perkins). Sixty years ago today, the U.S. Supreme Court ruled that "separate educational facilities are inherently unequal." Via Wikipedia. National Public Radio's legendary reporter/host/announcer, Carl Kassel, made his final appearance on Wait, Wait, Don't Tell Me, the networks's current events quiz show. Via Washington Post. The rapid rise of hop prices is due not only to a spike in sales of hop-heavy IPAs. Other reasons include: hop prices are in line with other crops; hops are traded globally; the shift from alpha-hops acres planted to aroma hops; a more segmented hop market; the rise of proprietary hops; US hop farmers in structural growth mode. Analysis via Brewers Association. The Brewers Association declares 12-18 May 2014 as American Craft Beer Week. Via YFGF. 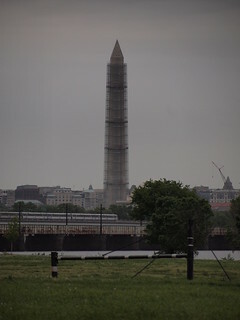 The Washington Monument re-opens today after 3 years of repairs from earthquake damage. Via NBC Washington. David Del Grande —long-time brewery owner and brewer— disagrees with the Brewers Association's most recent re-definition of 'craft' brewery. 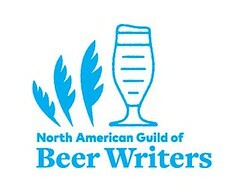 "The Brewers Association has watered down the meaning of craft beer." As quoted by NPR Food. "The National Minimum Drinking Age Act, passed by Congress 30 years ago this July, is a gross violation of civil liberties and must be repealed. It is absurd and unjust that young Americans can vote, marry, enter contracts and serve in the military at 18 but cannot buy an alcoholic drink in a bar or restaurant. The age-21 rule sets the U.S. apart from all advanced Western nations." Via Camille Paglia (at TIME Magazine). One wine expert says that wine judging is intrinsically flawed; another, not. Via British wine journalist Jamie Goode (the latter). 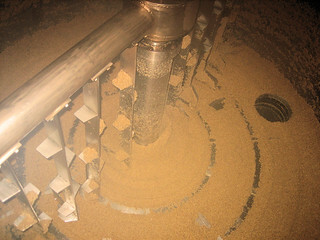 Until 1973, the production of 2-row barley malt production in the western United States was dominated by European varieties. The release of U.S. Klages —a cross between the Polish variety Betzes and Norwegian Domen— changed that. A brief history, via AG Weekly. Growing more barley for malting and brewing may be one way in which to improve the entire food system. Via Dan Barber, author of “The Third Plate: Field Notes on the Future of Food” (in New York Times). The National Wildlife Foundation certifies the 'beer garden' at Boundary Bay Brewery & Bistro, in Bellingham, Washington, as a "Wildlife Habitat," which is the only such designation for any brewery or brewpub in the U.S. Via YFGF.